Happy with my Uniden PC-122 Yellow Dot performance but hate looking at it and the crappy LED S meter! ?The performance of this PC-122 is amazing after being extensively tuned?in the audio sections. Unfortunately being built with no moving coil meter, just LEDs, it is difficult to know what the incoming signal really is. After installing into the Icom IC-701 and the proper meter being interfaced to the PC122 and re-calibrated via some original small PCB no longer being used with variable pots now doing the job. No one wanted to buy my old ICOM IC701 which I love the look of with the great S Meter and knobs so the result was inevitable! Small PC Power Supply also built in to take 240VAC and out put 12VDC to PC122 DC power input. A bit low but tested to work within specs. YouTube Video below of Melbourne to Queensland skip – Click it! 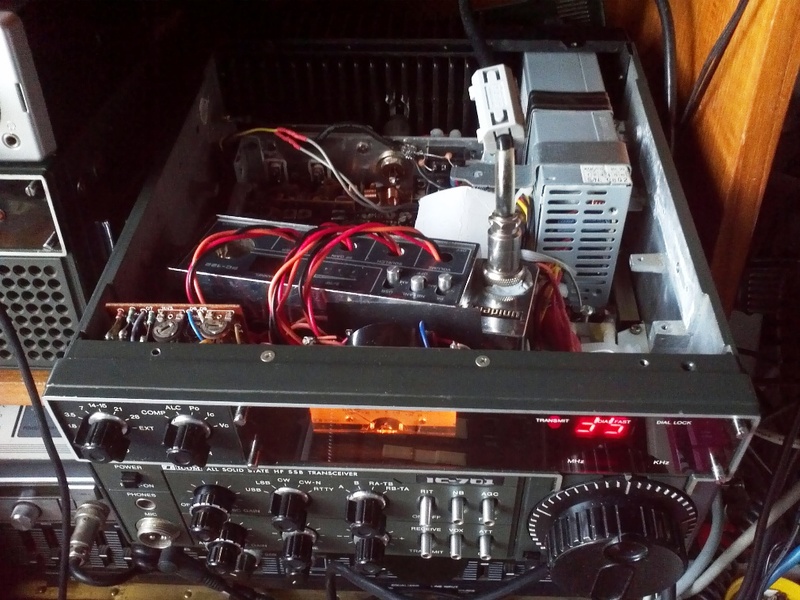 This entry was posted in CB Radio Classics, CB Radios, CB-Radio-Hobby, Electronic Repairs, Uniden PC-122 CB Radio by 43AX05. Bookmark the permalink.